Executice Taxis, Luxury and Standard Minibus Hire with driver 8, 12, 16, 22 & 33 Seater Covering Aylesbury & Surrounding areas. If you are looking for an Executive Taxis or 8-22 seater Minibus Hire in Aylesbury with a driver, you are in the right place! Minibus Hire Aylesbury is the ideal way for you to transport smaller groups of guests to any destination. We offer Executive taxis, Luxury and Standard Minibus Hire in Aylesbury and in the surrounding areas. You can hire our Executive taxis, Luxury or standard Minibus Hire 8, 12, 14, 16, 19 & 22 seater at affordable prices. We operates throughout Buckinghamshire, Oxfordshire and London areas. Our minibuses are ideal for large groups or parties who can all travel together rather than travelling in separate vehicles. Luxury & standard Minibus/ Coach Hire 8 to 22 Seates. All drivers are CRB checked and All our vehicles filled with all the safety features, fully Air-conditioned. Our drivers will take care of your every need and will make sure you enjoy your trip. We offer services for business events such as going to operations offered by your company. Or something like spend the day visiting amazing and historical places you've want to go. And why not invite the whole family to see your wonderful and most memorable wedding ceremony of your life. Bucks Travel/Minibus Hire Aylesbury doesn't stop at vacations and business events they also provide services like: Your family just landed in the city? Why not hire one and set a trip already Bucks Travel also provide airport transfer services that'll pick you up once you've reached the airport. Getting married next week or month? Why not start your own Stag and Hen party invite your friends and enjoy the party while moving across the cities. Bucks Travel/ Aylesbury Minibus Hire offers a variety of services that you'd want at a reasonable price and most people always ask "do they have good offers from that?" 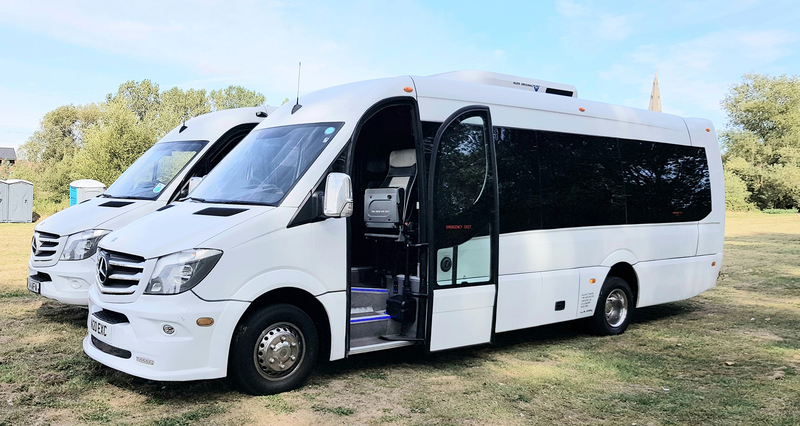 Minibus Hire in Aylesbury enables you to enjoy your ride without worrying about anything.. You will not experience any delay as every single detail of your itinerary is looked after with care. You can also arrange specialised tours and trips to and from popular heritage sites. Minibus hire helps school students to travel to and from school. The luggage space available is perfect for group travel. Travelling in a Minibus means using an affordable mode of transportation. The benefits of safety and comfort are assured in a minibus ride. Easier for inner city travel and smaller groups. Minibus hire With Driver in Aylesbury guarantees you fun, as well as ease and efficiency. All our fleet is highly maintained and routinely serviced to ensure reliability and safety. We take great pride in our service and do not compromise with passenger comfort or satisfaction and will ensure that your journey is as pleasant as possible. © 2017 Bucks Travel LTD. ALL RIGHTS RESERVED.